Bring the yarn to the front and purl a stitch. 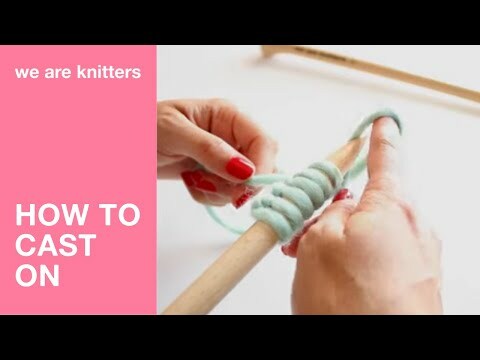 Place the yarn in the back of your work and knit a stitch. Repeat these two stitches until you’ve completed the row. When you finish, turn the work. Now on the next row, we have to start with a purl stitch because the first stitch looks like a knit stitch. Knit the next stitch, and so on until you complete the row. Repeat these two rows until you’ve worked the desired number of rows and the desired length.